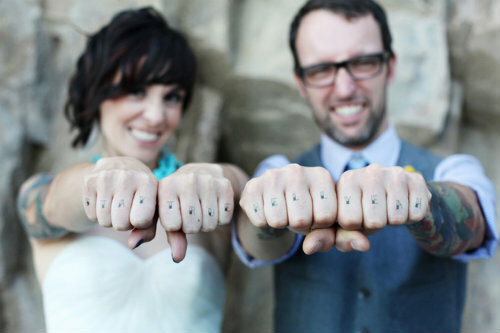 As some of you might know, Mary and I talk on and off about getting some sort of coordinating tattoos. Though it's something we'll probably never do, it's always a fun topic of conversation and inspiration. 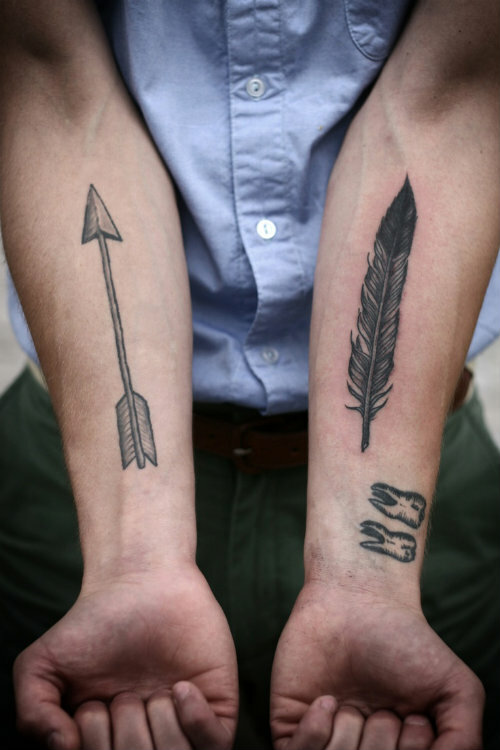 I've talked about getting a butcher knife along the inside of my forearm or some other variation of hungarian foliage and we like the idea of coming up with something that could play off one another in some way. On the way down to the beach for our honeymoon, there was one Tattoo shop that stood out along the drive back and forth from the cottage in Salvo, NC. 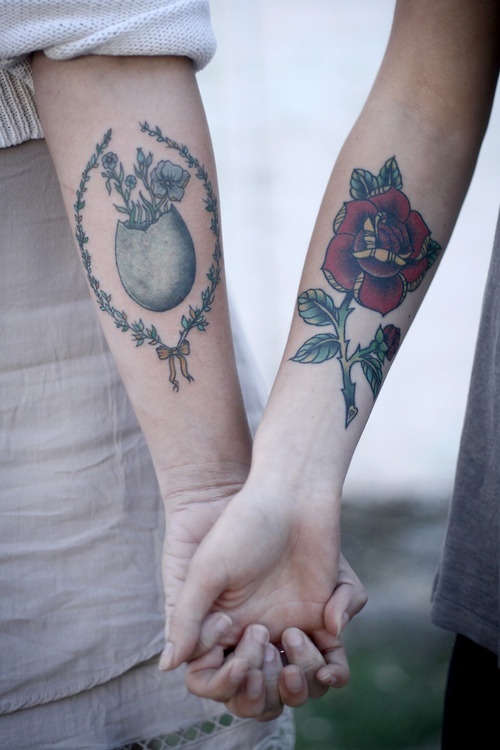 It was a combined tattoo and garden planter center — weird combination, right? 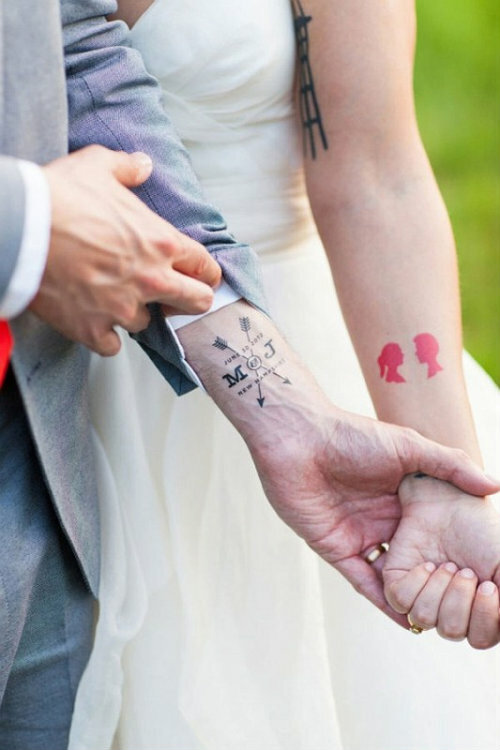 In any case, we laughed and joked every time we passed by it that finally getting those matching tattoos we've talked about for years would be a great way to commemorate the honeymoon. 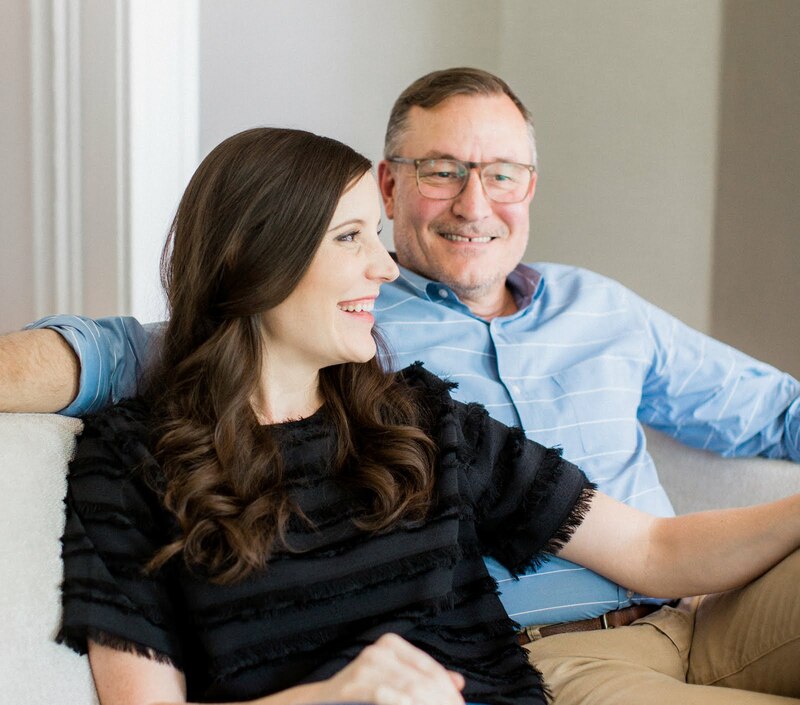 For now, it's still just a fun topic of conversion between the two of us, but who knows — maybe one day we'll surprise ourselves and all of you! 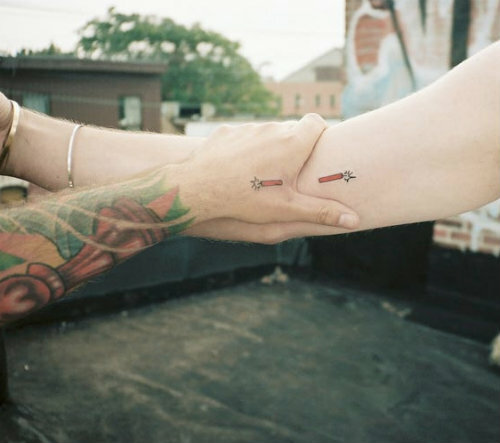 I have a matching tattoo with my best friend. 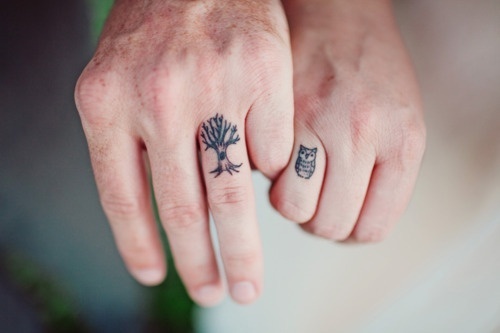 I'm not sure if I would ever get one with my significant other, but I love the idea of the owl and the tree. And "Trust", of course is a must! 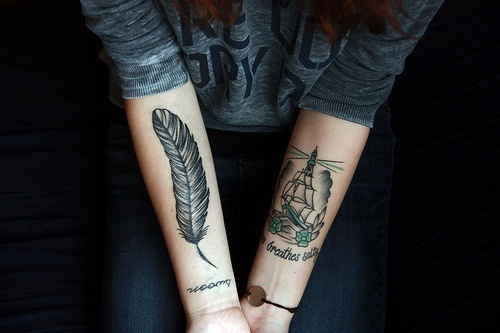 By the way, that's a perfect spot to have a tattoo. We like that tree and trust one too — will be sure to keep you posted if it ever happens! 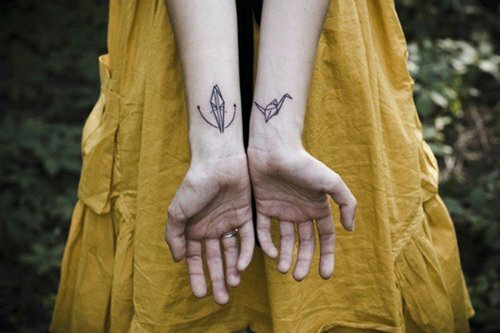 My husband & I would never get matching ones as he doesn't believe in them, but before we met I got my own matching tatts. I have both Chicago Blackhawks emblems: one on each leg, just above my knees. This might not seem too unusual, but I'm Australian & ice hockey is not big here. 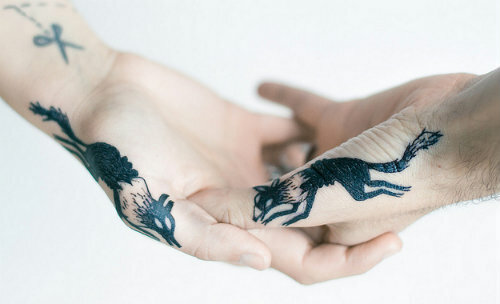 Wow, Tim's kinda tattoos! Thanks for sharing Felicity, they sound awesome.